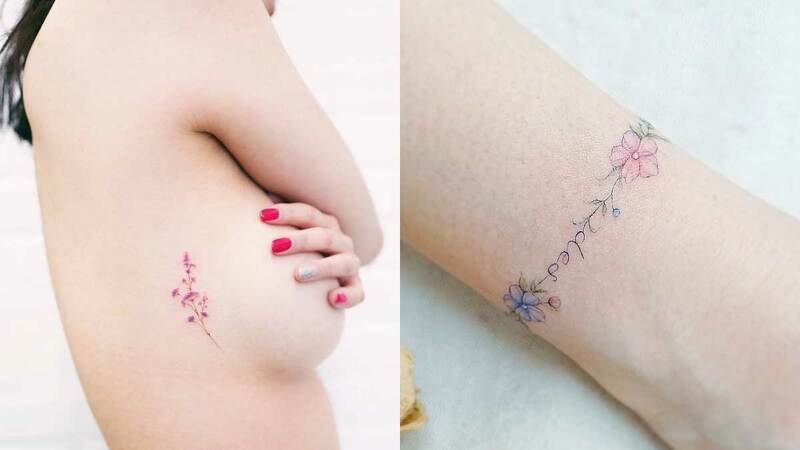 Celebrate the changing seasons by getting one of these gorgeous flower tattoos. And flaunt them at the beach come summer! You'll be confident to wear a backless top after getting this ink. The tiny specks of color are adorable. Getting a flower tatt in your favorite color is the best. Who knew that sheer tattoos could look so pretty? Wear this ink with a messy topknot so you can show it off! Floral tatts are perfect with off-the-shoulder tops. A lotus flower can symbolize the many layers of your personality. Placement is v v important. Dress up your ears with a tulip!